You all know I love a good smokey eye! But to avoid running errands in the daytime with pounds of eye makeup on, I came up with this daytime version that is just as lovely! And best of all.....it's super easy and quick to achieve! Even if you've never attempted ANY smokey eye before this tutorial, you will get this, trust me! It's that easy and complication free because your number one tool to create this daytime smokey eye is your finger! 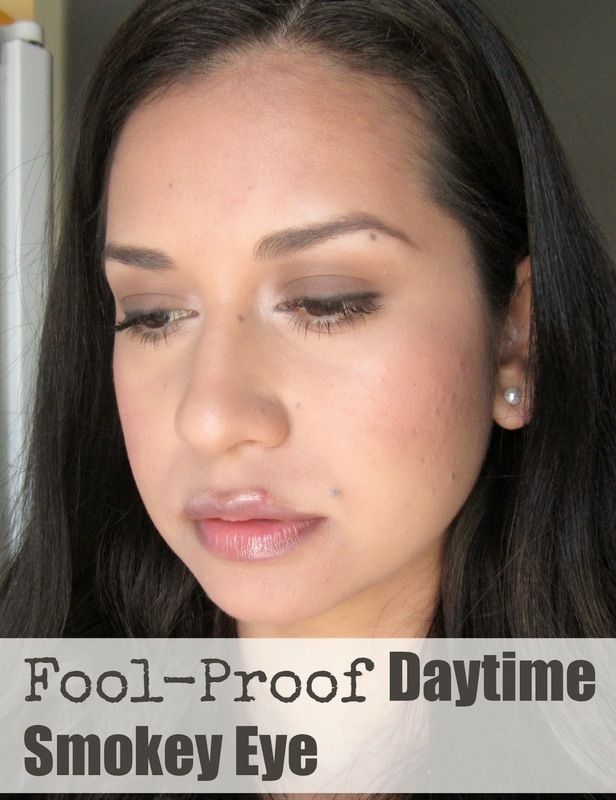 To see my easy tutorial for Fool-Proof Daytime Smokey Eye, follow me to VMG206 where I am posting monthly beauty posts! Who else loves a good gallery wall display? I'm telling you friends...I can't get enough of them! And because I can't do a gallery wall on every single wall of my house, I'm constantly stalking other's...CONSTANTLY! Since I'm still swooning over my Spontaneous Gallery Wall in our living room (and conquered the intimidation of putting one together), it made sense to whip one up in our daughter's room. You gotta teach them to love these beautiful displays while they're young, ya know! And because I'm the kind of gal who prefers to DIY her wall art, I didn't spend a whole lot of money creating this gorgeous and fun gallery wall in my daughter's room! 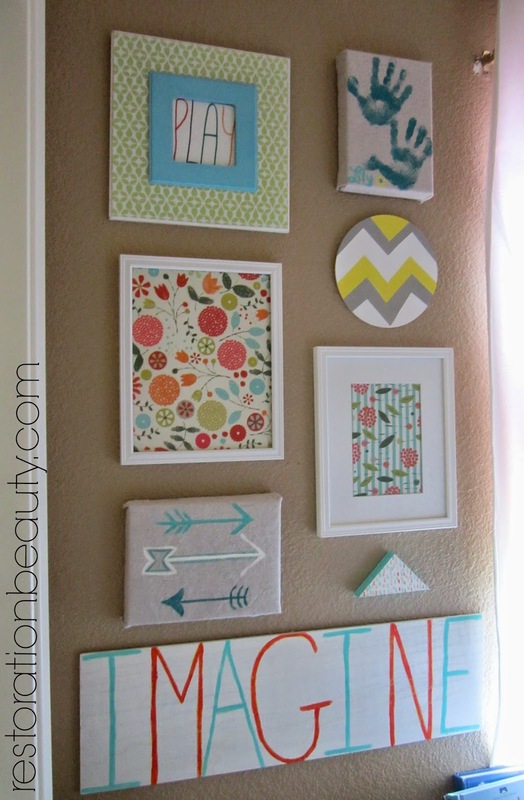 I'm going to show you how you can mostly DIY yourself into creating a customized and fun gallery wall for your kiddo's! Before getting into the nitty gritty I want to say that there are so many more possibilities to DIY'ing a kid's gallery wall....so so many!! I'm just showing you what I did and how it ended up working together with the other pieces. 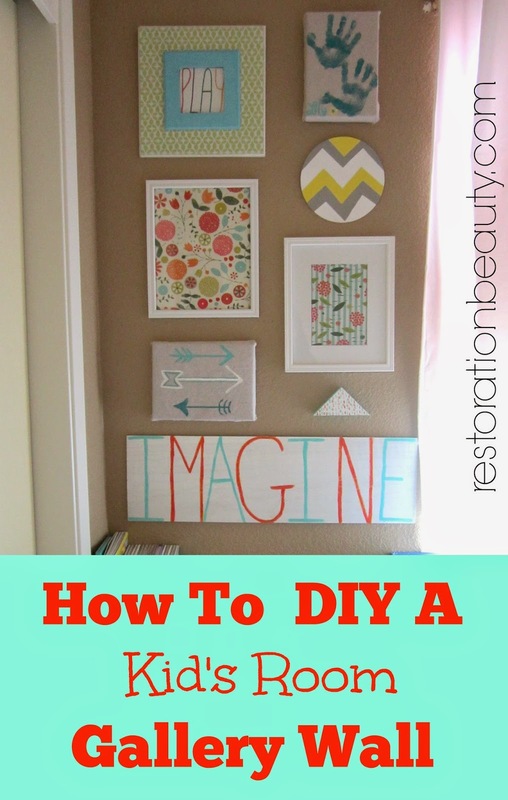 HOW TO DIY A KID'S ROOM GALLERY WALL FOR ALMOST NOTHING! Let's start from the top and work our way down, shall we? 1. Re-vamp some art pieces you already have but may not love to something that will work in your new gallery wall. This fun piece used to hold an inspirational "Live. Love. Laugh" quote. The blue border used to be pink but with a quick paint job and a handwritten "PLAY" on plain ol' printer paper it was nicely freshened up! You can read more about this Quick Children's Art Update and see the before here. This piece cost me $0 by re-using and re-vamping something I already had but didn't quite love. 2. 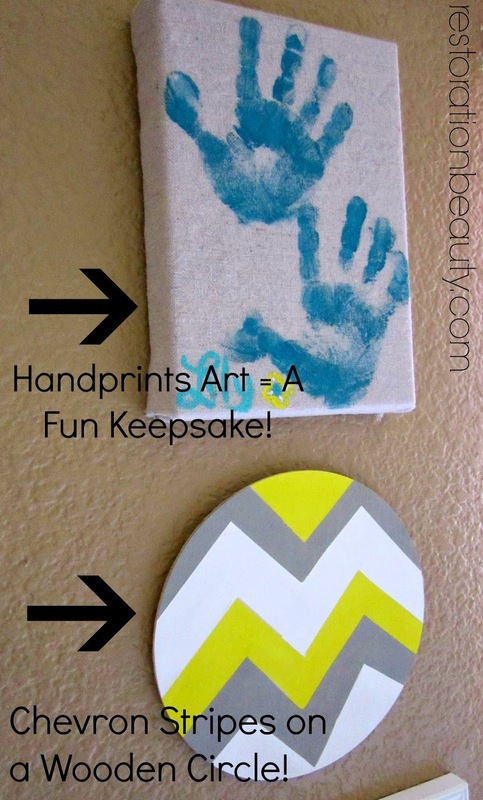 Make a sentimental and memorable keepsake and hang it up as art! To me nothing melts my heart more than seeing my daughter's tiny hand-prints. It's like freezing a moment in time! Like the time we made this Valentine's Day Keepsake. 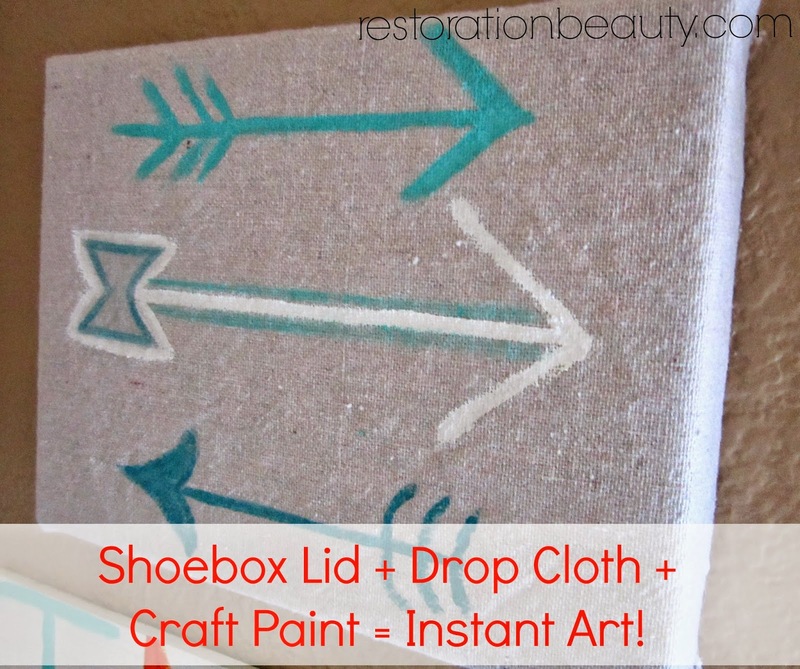 I made this piece by gluing drop cloth canvas around a shoe box lid and having my daughter stamp her hand print (it's actually the same hand) onto it with craft paint! 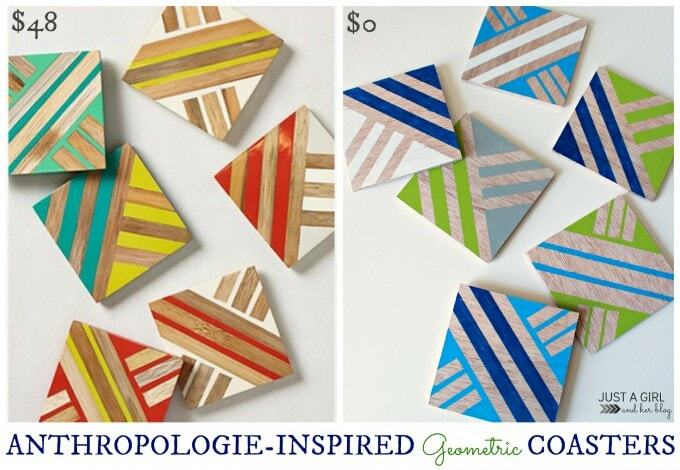 Total cost: $2 for craft paint! 3. 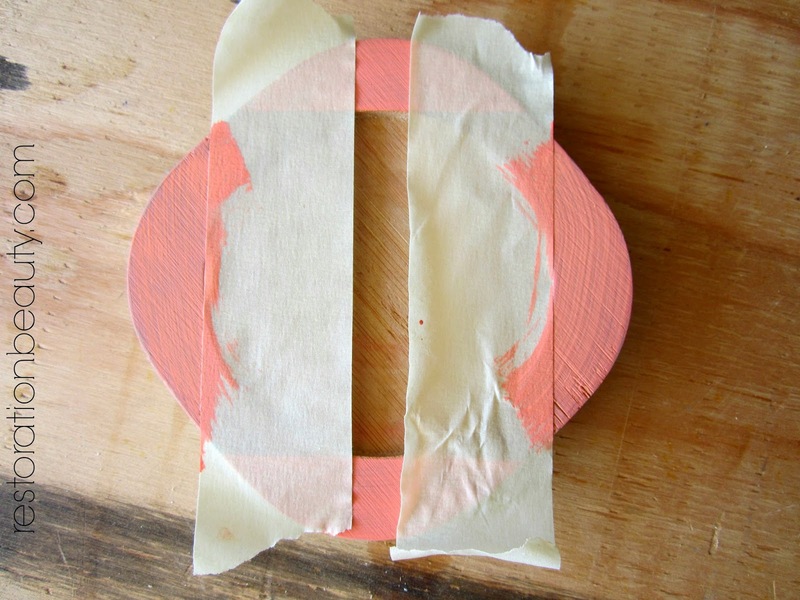 Create your own fun design on a wooden plywood circle (shown above). 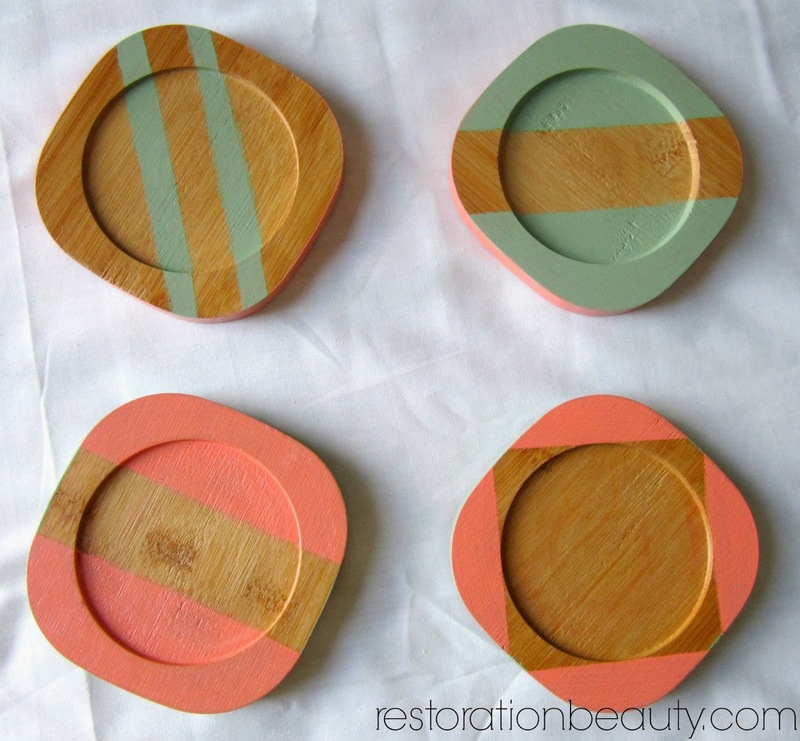 You can find these plywood circles at any craft store. I bought mine from Hobby Lobby for under $1. 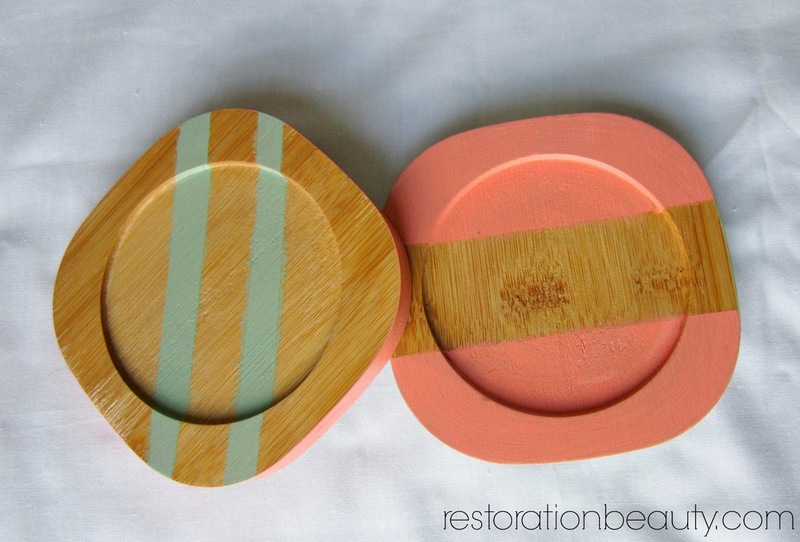 I couldn't resist incorporating the beloved chevron stripe! 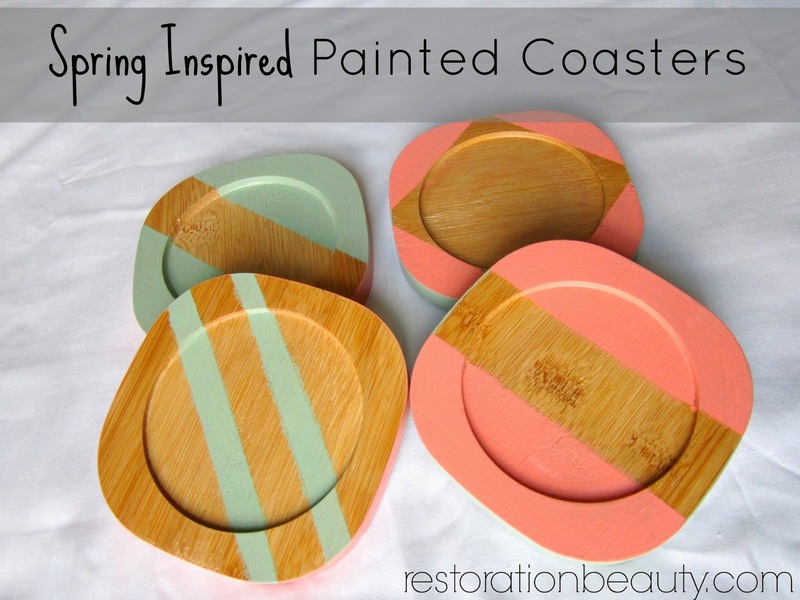 I used craft paint I already had and in no time this piece came to be! I didn't tape it off like I did my Chevron Stripe China Cabinet so it almost looks like a child made it. PERFECT! 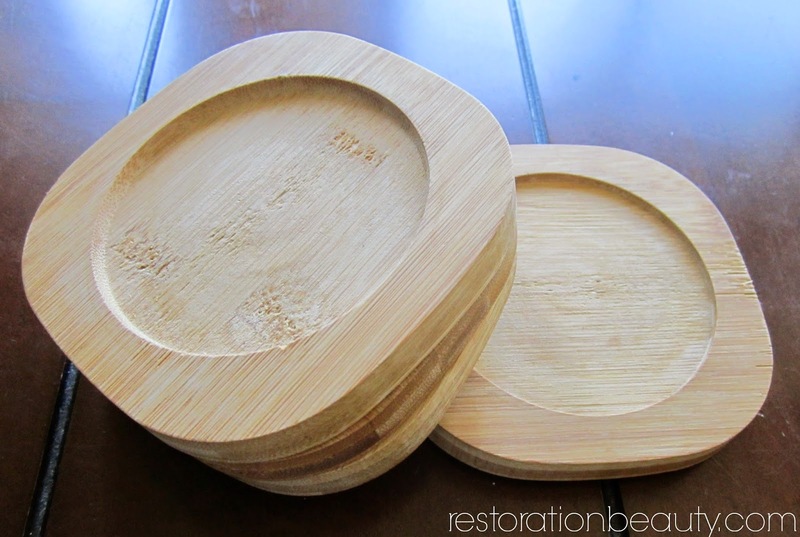 Total cost: $.79 for the plywood circle. 4. 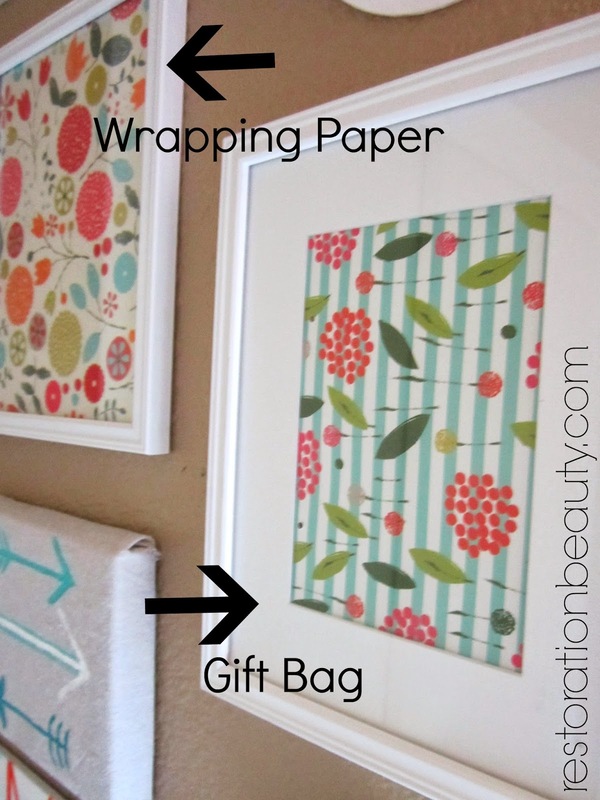 Frame wrapping paper and gift bags for instant art! 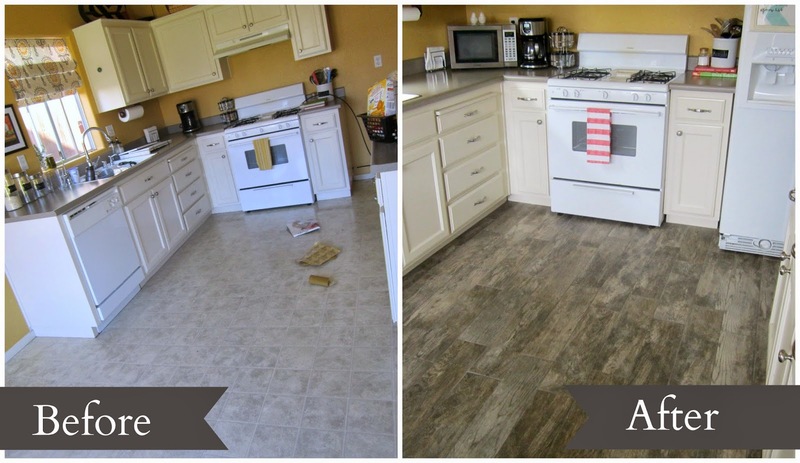 I've always loved this idea! Seriously, how many times have you fell in love with a gift bag or wrapping paper? Please tell me I'm not the only one! 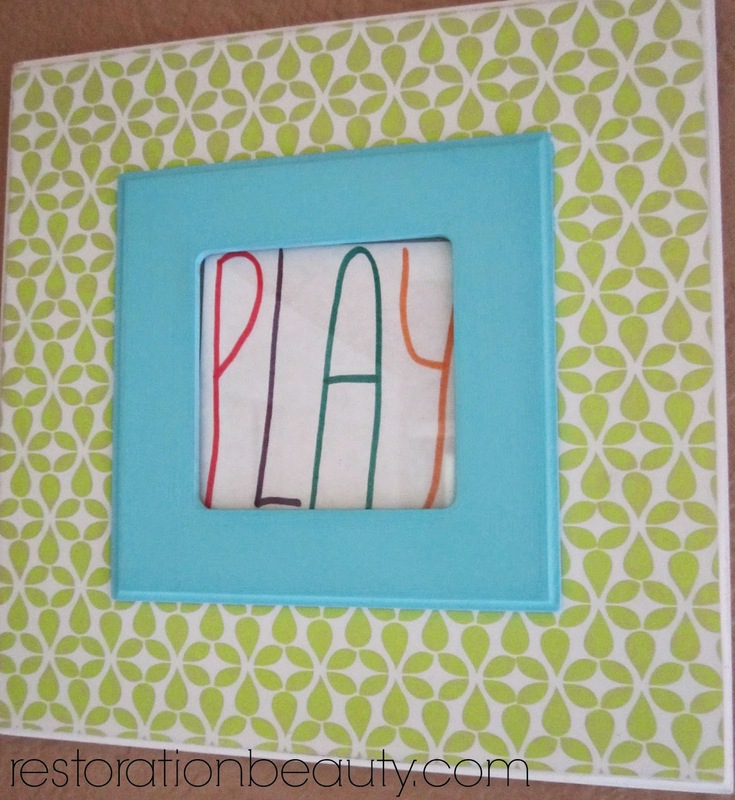 Instead of throwing it away the fabulous gift bag or wrapping paper, frame it! I used the same frames I used for my 5 Minute Kid's Art. 5. 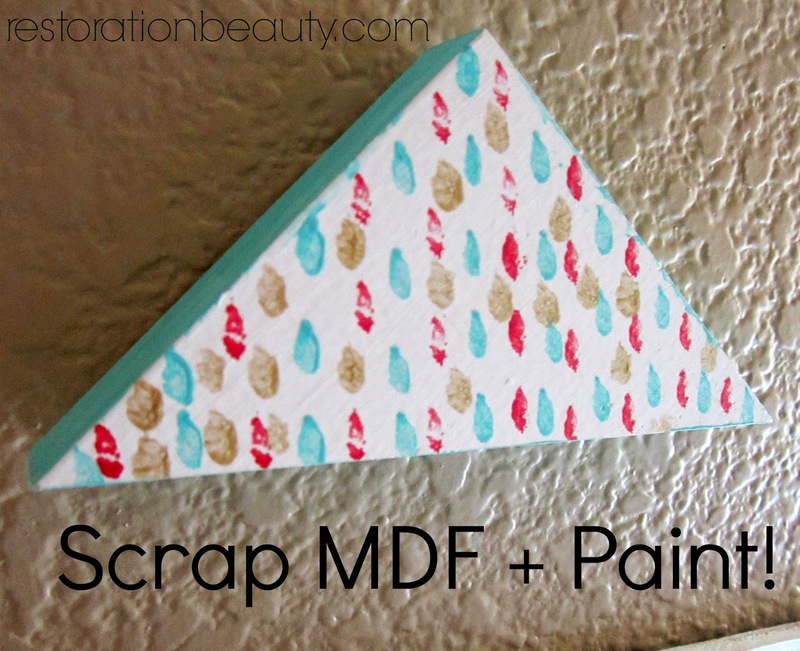 Cover canvas or a shoe box lid with a pretty fabric OR make it pretty with craft paint! You might as well call me the shoe box lid lady because that's what I used (again) for this piece. And just like the other piece, I glued drop cloth to it, only this time I drew 3 arrowheads because arrowheads are just awesome! 6. 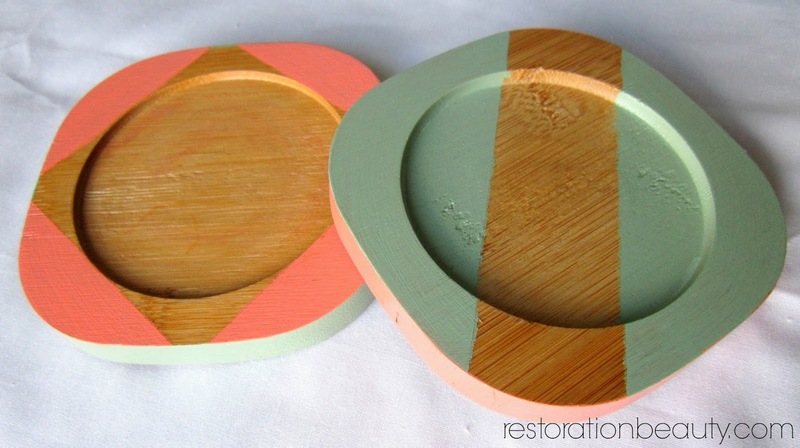 Use scrap wood, moulding or MDF and paint away! This was the only corner scrap of MDF that my hubby didn't throw away (it must have gotten past him) from framing our master bathroom. 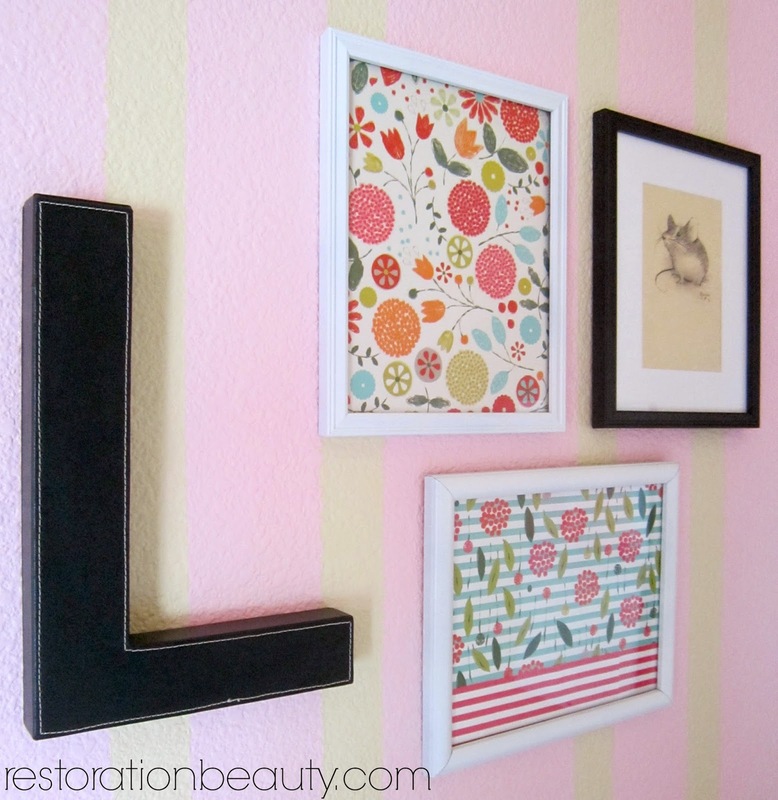 I though it would be a cute little addition and change in shapes to Lily's gallery wall. I just used a small angled brush and dabbed this turquoise, red and gold design. 7. 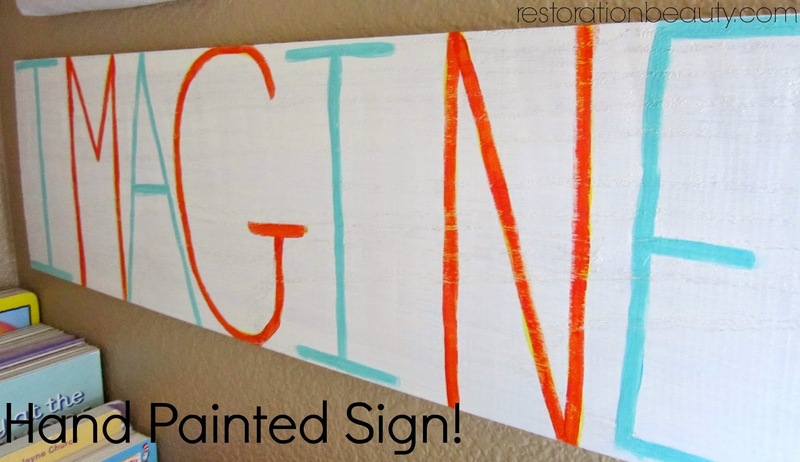 Hand paint a fun wooden sign! 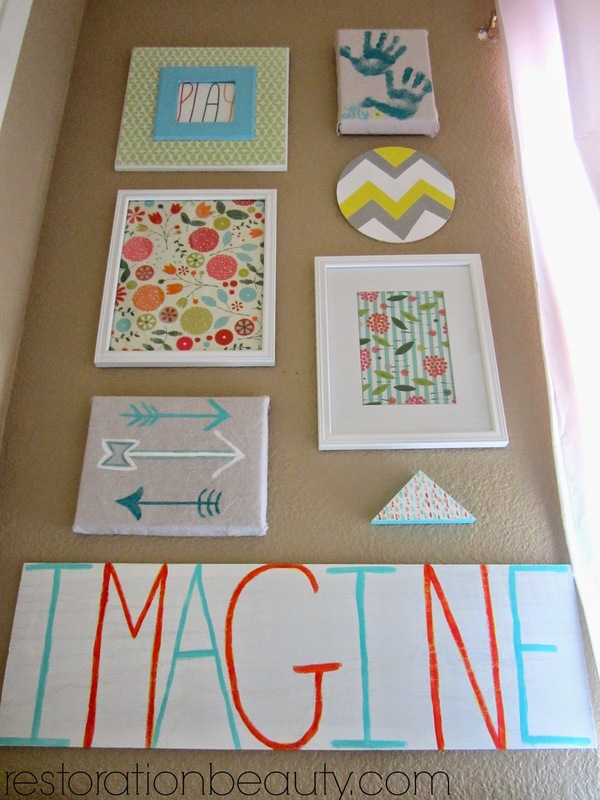 With a red oak plank from the hardware store and craft paint I made this simple and fun "IMAGINE" sign in no time! It's pretty cool to work on one piece at a time and see it all come together! Of course, my favorite stage is when it's all done and I can stand back and admire all the pieces together! Such a fun arrangement for a 3 year old girl, don't you think? My sister bought Lily the letter L when she was a baby and the sketch of the mouse is my famous brother's (no joke by the way) own artwork he gave her a couple Christmas's ago. I'm sure it's obvious that I love sentimental pieces. I love seeing a piece and remembering a moment! What about you? 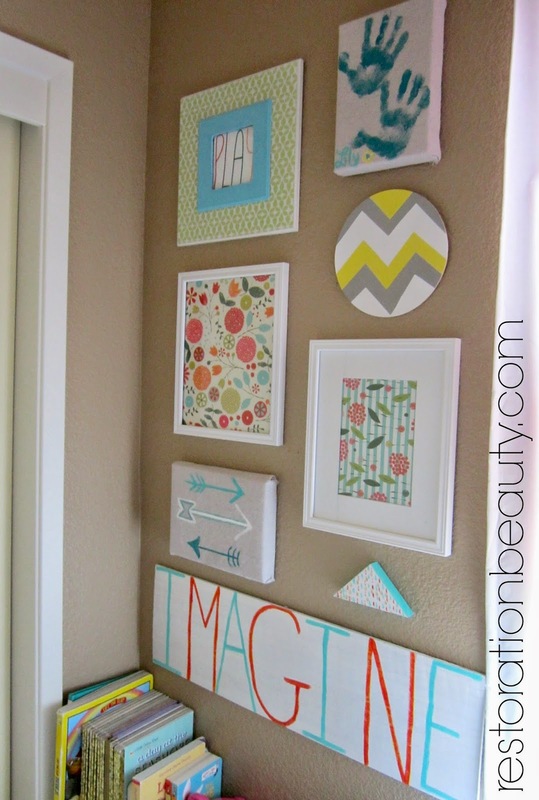 How do you like to choose or DIY pieces for your gallery walls? 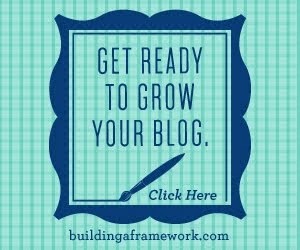 This is a Sponsored post written by me on behalf of katethorp for SocialSpark. All opinions are 100% mine. You all know I LOVE all things beauty, right? I LOVE ALL THINGS BEAUTY! 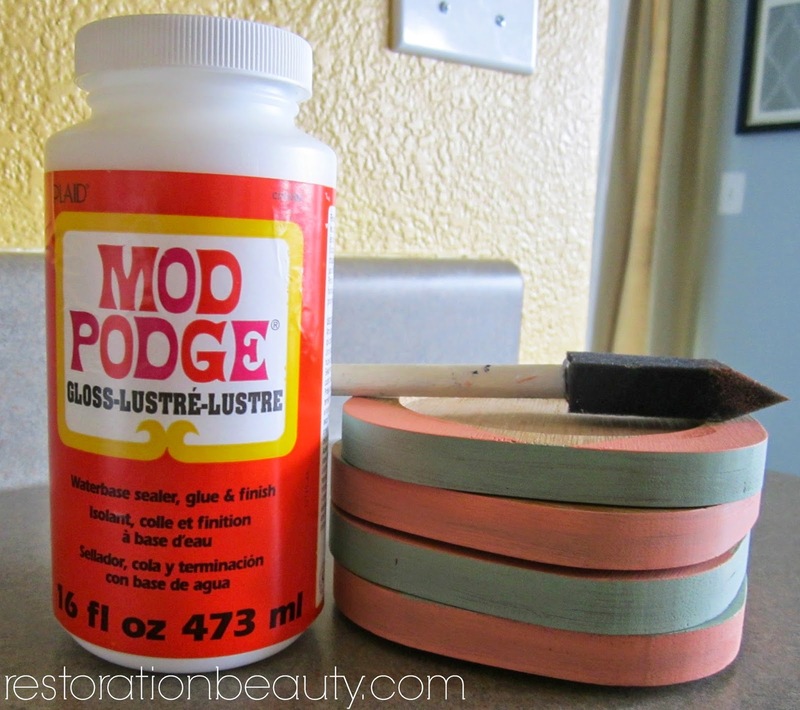 I'm huge on looking for and discovering the newest beauty product that I can become obsessed with! This always leads me to beauty finding websites....and my latest website find, Beauty Noted is fabulous! 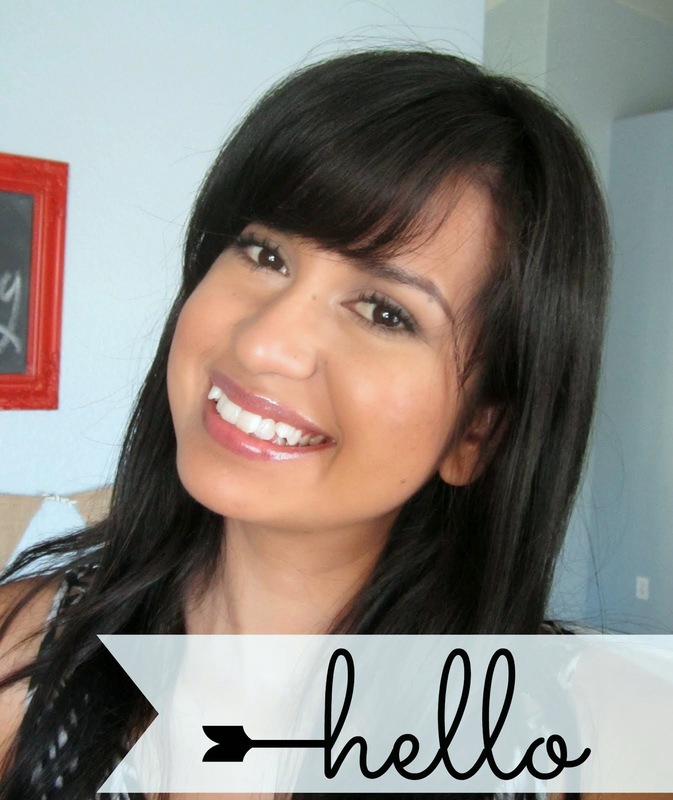 Seriously gals, I've never come across a beauty site that is TAILORED JUST FOR YOU! Beauty Noted is a new custom beauty solution that enables women to discover the best beauty products for them! They use information such as your skin tone, your preference in color, any skin concerns you may have, etc... to gather only the BEST products from their members and provide you with personalized recommendations! 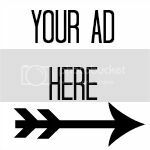 Joining the platform is absolutely FREE and most importantly FUN! All you have to do is register, answer 10 questions and add at least 3 of your favorite beauty products! 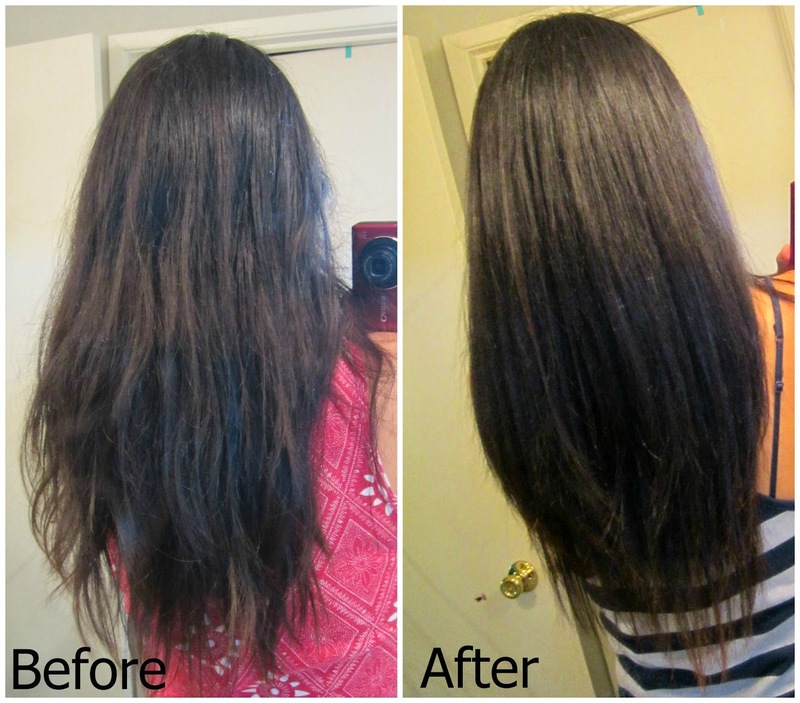 The process takes no more than 5 minutes and you will then get your very own custom beauty recommendations based on the information you provided! Talk about a simplified beauty search! It's like having your own personal beauty consultant right at your fingertips...literally! 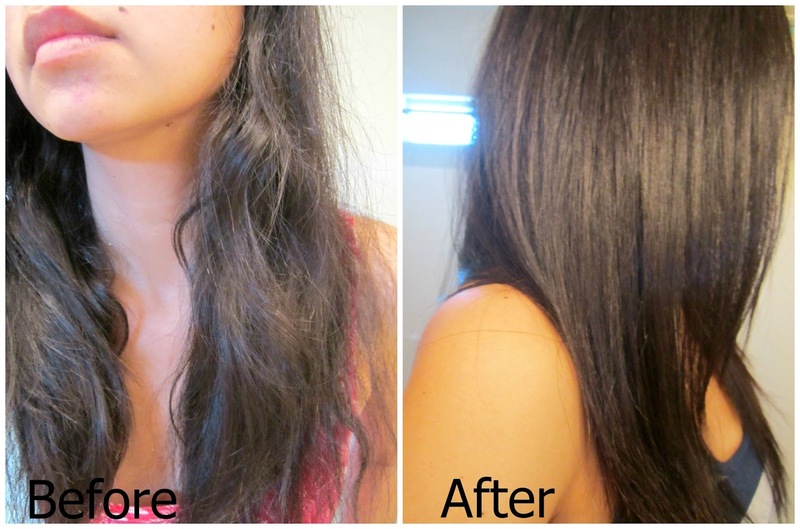 The recommendations I received were actually products that I would naturally be attracted to while shopping! Try it! I'm sure you will enjoy it! Who knows.... you may just discover your newest beauty obsession!